The windows have been washed and the carpets have been shaken out - now why not reward yourself for some spring cleaning done well with a refreshing frozen concoction? Sit back on the couch and sip this tropical slush - you've earned it. 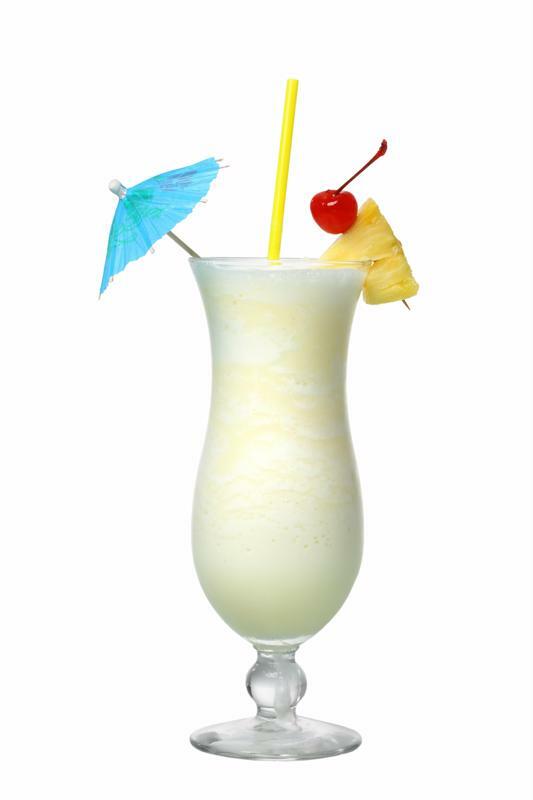 With coconut cream, a dash of pineapple juice and white rum, it's an instant island vacation in a glass. Hey, spring cleaning is tough work - so you can justify having dessert before dinner! Celebrate your efforts and your clean home with this indulgently chocolatey frozen concoction. Add ice to the ice reservoir and all remaining ingredients to your Margaritaville® Frozen Concoction Maker® glass jar. Concoct and pour into glasses. Garnish with fresh mint sprigs and a sprinkle of chocolate shavings and enjoy. You've finished all your spring cleaning - now reward yourself with a frozen concoction! Opening the windows to let in that fresh spring air is a lovely feeling. Continue those light and airy vibes at the cleaning after-party with a delicate frozen concoction flavored with juicy grapefruit and sparkling wine. Add ice to the ice reservoir and all remaining ingredients to your Margaritaville® Frozen Concoction Maker® glass jar. Concoct and pour into glasses. Garnish with grapefruit wedges and enjoy. Make dusting and scrubbing seem miles away by concocting this fun twist on the classic piña colada. It not only uses fresh raspberries, but raspberry liqueur and sherbet to take the sweet and fruity flavor to levels that are out of this world. Add ice to the ice reservoir and all remaining ingredients to your Margaritaville® Frozen Concoction Maker® glass jar. Concoct and pour into glasses. Top with whipped cream and garnish with fresh raspberries. Enjoy. Ease into an evening of relaxation after a day of heavy-duty cleaning with this nighttime version of the Tequila Sunrise. Add ice to the ice reservoir and all remaining ingredients to your Margaritaville® Frozen Concoction Maker® glass jar. Concoct and pour into glasses. Garnish with blood orange slices and enjoy. Sipping a glass of lemonade out on the patio is a great way to wind down the day. Make the ritual extra fun with a peach and vodka twist on the classic drink. Add ice to the ice reservoir and all remaining ingredients to your Margaritaville® Frozen Concoction Maker® glass jar. Concoct and pour into glasses. Garnish with peach and lemon slices and enjoy. Reinvigorate your taste-buds after a long day with a Frozen Cranberry-Lime Cooler. Nothing gets the good times going better than an ice-cold margarita or beer - except the two drinks put together! The crisp and refreshing flavor of a LandShark beer mixes in perfectly with tequila and lime for a frozen concoction match made in heaven. 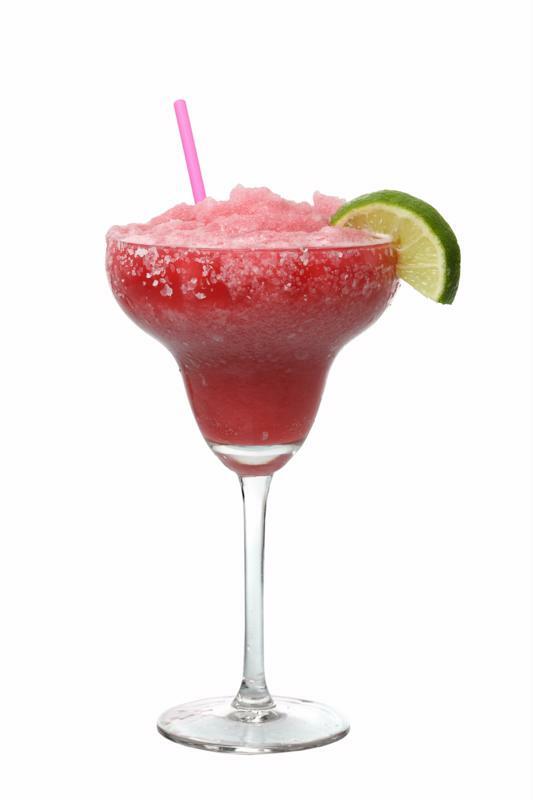 Prepare margarita glass by dipping rims in water and then in salt or sugar to coat. Add ice to the ice reservoir and all remaining ingredients to your Margaritaville® Frozen Concoction Maker® glass jar. Concoct and pour into prepared glasses. Garnish with lime wedges and enjoy. Want a reinvigorating frozen concoction to put a little pep in to your step after finishing your spring cleaning? Try this frozen cooler made with tart, juicy cranberry flavor and a spritz of zesty lime juice. Add ice to the ice reservoir and all remaining ingredients to your Margaritaville® Frozen Concoction Maker® glass jar. Concoct and pour into glasses. Garnish with lime wedges and enjoy.